The Auberge de Provence was opened as the National Museum in 1958 by Agatha Barbara, then the Minister of Education. The museum originally included the archaeological collection on the ground floor and fine arts on the first floor. The first curator was Captain Charles G. Zammit, the son of the eminent Maltese archaeologist Sir Themistocles Zammit. In 1974, the fine arts collection was moved to the National Museum of Fine Arts, newly established in the Admiralty House building in South Street, Valletta, and the National Museum was renamed the National Museum for Archaeology. The museum was refurbished and upgraded in 1998. Artifacts were placed in climate-controlled displays so that the exhibition met with current conservation standards. The Auberge de Provence is a baroque building in Republic Street, Valletta, built for the Order of Saint John in 1571. It was designed by the Maltese architect Girolamo Cassar, who directed the building of most important buildings in the early days of Valletta. The building’s façade is imprinted with Mannerist characteristics usually associated with Cassar. The Grand Salon on the first floor is the most ornate room in the building. The Knights used it for business discussions, and as a refectory and banqueting hall, where they sat at long tables according to seniority. When Napoleon expelled the Knights from Malta in 1798 the Auberge was leased to the Malta Union Club. Though the lease was to expire in 2002, on 12 August 1955 the Auberge was assigned to house Malta's National Museum. The ground floor of the museum exhibits prehistoric artefacts from the Maltese islands, from the Għar Dalam phase (5200 BC), the earliest appearance of settlement on the island, up to the Tarxien phase (2500 BC). This room exhibits artifacts from the early Neolithic Period, including decorated pottery from the Għar Dalam, Grey Skorba, Red Skorba and Żebbuġ phases. Of particular importance are the Red Skorba figurines, the earliest local representations of the human figure and the predecessors of the statues of later temple periods. The exhibition features a reconstruction of the rock-cut tombs that were a characteristic of the early Neolithic period in Malta. Rock-cut tombs reached their climax in burials like the Ħal Saflieni Hypogeum and the Xagħra Stone Circle; photographs of both sites are displayed in the museum. These rooms show examples of architecture, human representation and other items that date from the Mġarr, Ġgantija, Saflieni and Tarxien phases of Maltese prehistory. The temples that were built at this time are considered to be the world’s first free standing monuments and are listed in the UNESCO World Heritage List. The museum exhibits numerous corpulent statues representing human bodies unearthed from temple excavations, along with phallic representations. Until recently the statues were called Mother Goddesses, Fat Ladies, Deities and Priests among other names, but it is now argued that these statues were probably asexual and represented a human being, irrespective of whether it was male or female. The representations vary in size and shape, with the largest being as tall as 2.7 m and the smallest 4 mm. The discovery of temple altars and corpulent human representations suggests that some type of cult existed on the islands of Malta and Gozo in prehistory. Given the corpulency of the statues it may be that the cult was tied to a fertility rite. Fertility at this time must have been very important since, apart from family growth, it also meant the reproduction of crops and animals. The exhibition includes altars excavated from the Tarxien Temples that were probably used for animal sacrifices. They were brought to the museum for conservation reasons. The Grand Salon on the second floor occasionally holds temporary exhibitions of particular national interest. Silent Warriors (March 2007), featuring artifacts from the terracotta army of the first emperor of China, Shi Huangdi. Caravaggio L'Immagine Del Divino (September – November 2007), exhibiting original masterpieces of the Italian artist, Michelangelo Merisi da Caravaggio, who was active in Malta in the early 17th century. Renzo Piano's designs for the redevelopment of Valletta’s City Gate, Parliament House and Opera House (July 2009). In Quest of Beauty (26 February – 15 May 2011), an exhibition of works by the Bohemian Art Nouveau artist Alphonse Mucha. The museum plans to open the first floor galleries and expand the exhibition in the near future to include archaeological artifacts from the Bronze Age, Phoenician, Punic and Roman Periods. The museum is open every day from 9am till 7pm, with last admission at 6:30pm. They are closed on Good Friday, Christmas Eve and Day, and New Year's Eve and Day. ^ a b c d Heritage Malta Brochure, The National Museum of Archaeology: a brief guide, Midsea Books Ltd.
^ a b c d e Sultana, Sharon (2006). The National Museum of Archaeology. Santa Venera: Heritage Books (subsidiary of Midsea Books Ltd). ISBN 9993270768. ^ a b Trump, D. (2002), Malta Prehistory and Temples, Midsea Books Ltd.
^ Cini, George (27 February 2007). "Terracotta soldiers on parade at Archaeology Museum". Times of Malta. Retrieved 9 March 2015. 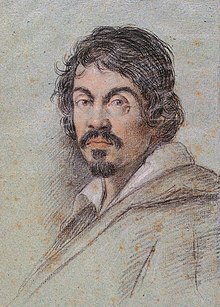 ^ "High marks for Caravaggio exhibition". Times of Malta. 21 December 2007. Retrieved 9 March 2015. ^ Vella, Charlene (11 April 2011). "In quest of art beauty". Times of Malta. Retrieved 9 March 2015. Wikimedia Commons has media related to Malta National Museum of Archaeology. This page was last edited on 26 October 2017, at 17:09 (UTC).